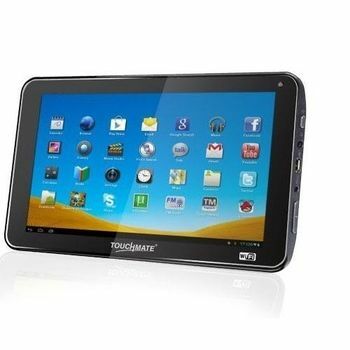 The Touchmate MID720 Tablet gives a whole new dimension to your communication and entertainment. It features a capacitive 5-point multi-touch screen which is super sensitive. This highly-responsive screen lets you enjoy smooth and precise navigation between folders and applications. It has a 7.0 Touchscreen TFT LCD screen with a resolution of 800 X 480 to deliver bright images and sharp texts. It runs on the latest Android 4.0 operating system that offers smooth, easy interface. This 7-inch touchscreen tablet also lets you download various useful apps from the Android market. It is powered by the 1Ghz Cortex A8 CPU processor, which offers fast and reliable performance while browsing the Internet, streaming videos, watching movies or handling everyday computing tasks. You can plug and play any USB drives in this Android 4.0 Tablet using its built-in micro USB port. It support Wi-Fi wireless internet, so you can connect to your family and friends from anywhere in the world.